All dog owners know there are certain things we HAVE to do for our furry friends. We have to walk them. We have to feed them. We have to make sure they stay cool when it's hot out. Then, there are things we should do for our dogs. Like throwing them birthday parties, for example. 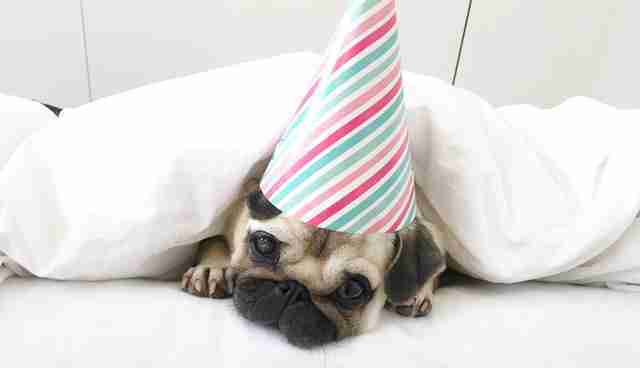 Because dogs are magnificent and they deserve elaborate celebrations in their honor. Luckily for Loulou, a pug who lives in the Netherlands, her mom did NOT take this responsibility lightly. When Loulou's second birthday rolled around, her mom, Emma Cornelissen, threw her the greatest party ever - and, of course, documented it all on Loulou's Instagram. "Weeks before Loulou's birthday, I started to brainstorm and even bought some things already, like plates and a candle of the number 2," Cornelissen tells The Dodo. 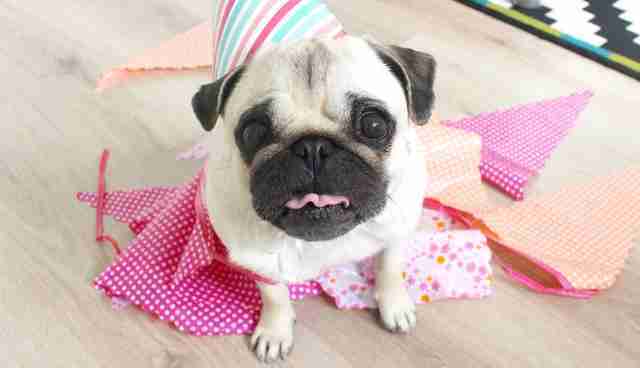 "I'm pretty much a perfectionist, and wanted to do it better than her first birthday party." 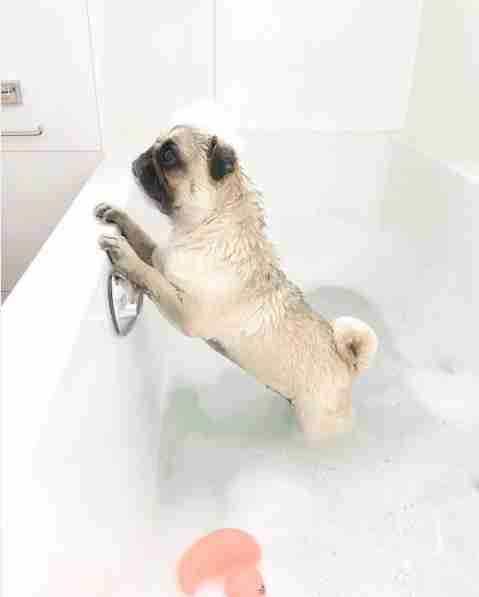 First, the pug got a luxurious bubble bath, so she'd be all fresh and clean for the big soirée. Then came the festivities. Loulou got a bright pink balloon declaring her new age, lots of decorations, a giant bone and a party hat that she seemed totally cool with wearing. And, of course, there was a massive cake. That cake was definitely he highlight of Loulou's party. "Her favorite things to do are mostly sleeping, playing and eating. Especially eating. She would eat 24/7 if it was up to her!" Cornelissen says. She went to TOWN on her birthday cake. 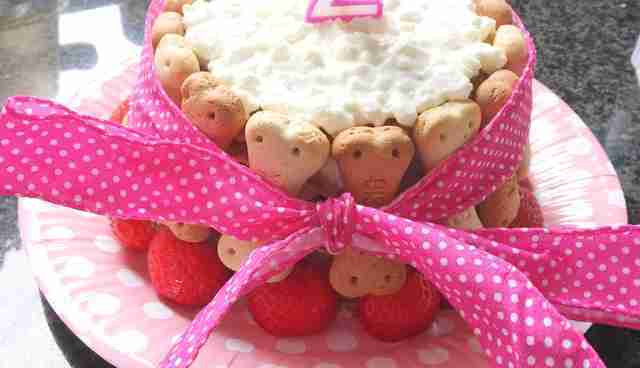 "It's important to bake a birthday cake that is healthy and edible for dogs," Cornelissen says. "I found a recipe for tiny dog pancakes, and if you build these up all together, you will eventually have something that looks like a cake!" She finished off her creation with dog biscuits, fresh strawberries and cottage cheese. And, of course, a pretty pink ribbon and a candle. 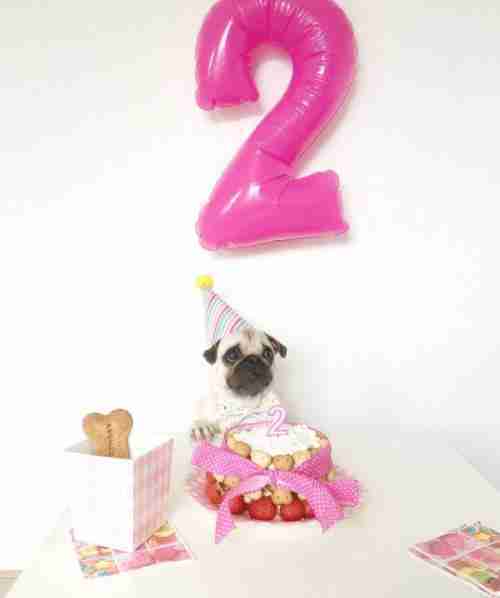 All of this was a LOT of excitement for a dog, even a sprightly young 2-year-old pug. So at the end of the day, it was time for Loulou to just chill out. 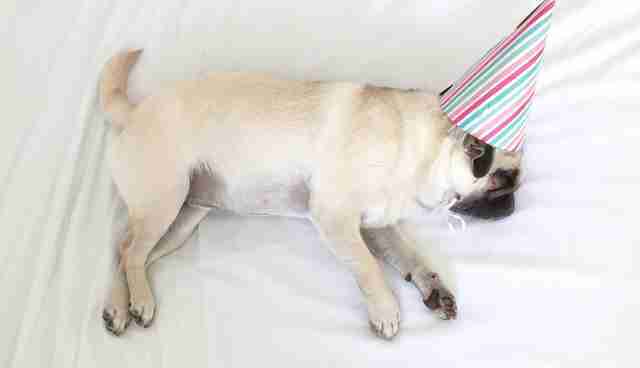 Still wearing her party hat, obviously. After a glorious day of playing and eating, it was finally time for Loulou's other favorite activity: sleeping. 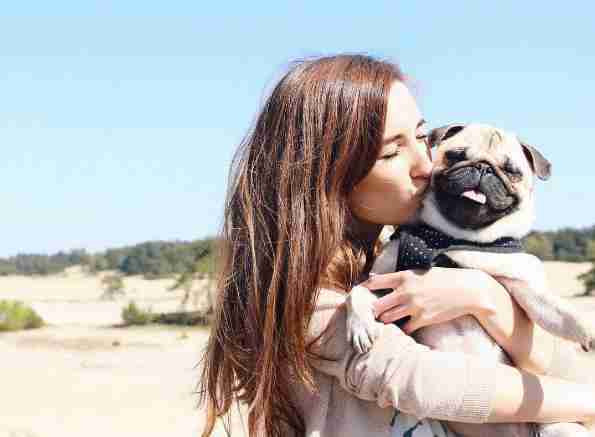 We're pretty sure Loulou is the most adored pug on the planet. "At the end of the day," Cornelissen says, "we had a very tired but also a very satisfied puppy, wearing a party hat, and sleeping like a rose."